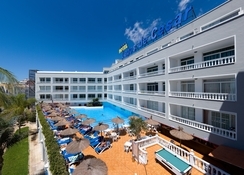 Located on beautiful Tenerife Island, a part of Blue Sea Resorts, Lagos de Cesar is a four-star hotel that offers all-inclusive, bed and breakfast, half-board and full-board accommodation to all kinds of holidaymakers. Whether you are a solo traveller, couple or family with children you will discover lots to see and see here. You can find plenty of bars, restaurants and cafes on the way to the nearby beach as well. For some evening entertainment, Plaza Augustin Leon (450 metres) and Puerto de Santiago (500 metres) are the places to go. Its close proximity to beautiful beaches makes it an ideal destination for water sports lovers too. 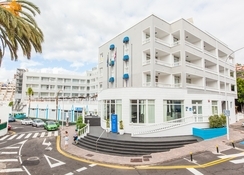 The hotel welcomes guests with 116 well-furnished rooms, excellent on-site amenities and warm hospitality that will make your holiday in Tenerife a memorable one. Lagos de Cesar is located about 42km from Tenerife South Airport. The nearest beach is about 550 metres away from the property. There are a ton of great attractions that can be reached from this hotel including: Los Gigantes (1.5km), Puerto Santiago (2km), Siam Park (26km), Mt Teide (43km), Teide National Park (27km) and Masca Valley (17km). There are various shops, bars and restaurants close by to the hotel too. The hotel features a total of 116 guestrooms elegantly decorated with pastel colours and modern furnishings, divided into single, double, triple and family rooms and suites. All rooms contain either double or twin beds and they are fitted with amenities such as a television, telephone, work desk, and a balcony with seating arrangements. A sofa bed is placed just aside the balcony where you can relax and enjoy the sea breeze. 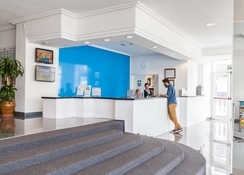 The rooms are cleaned regularly by hotel housekeeping. Lagos de Cesar serves breakfast, lunch and dinner in its main buffet restaurant. The menu varies from local to international cuisine with myriad of dishes to choose from. 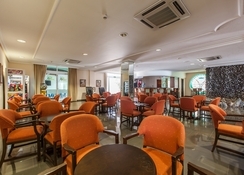 Food is complemented by a wide selection of local and international, alcoholic and non-alcoholic beverages from the two bars. The pool bar serves beverages and snacks all day long, while the salon bar serves drinks amidst live entertainment and music. Just a short walk away guests can find many bars and restaurants serving local and international dishes. The recreational activities on-site include outdoor swimming pool surrounded by sun loungers and parasols, fitness centre with workout machines, table tennis, billiards and tennis courts. A games room and minimarket are also available. 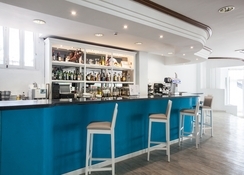 The Salon Bar is a lively spot at night and regularly hosts live music and dance shows for the guests. The beach is within walking distance and you can enjoy plenty of water sports once you reach the beach which includes snorkelling, scuba diving, windsurfing and wakeboarding to name just a few. Please Note : The works are taking place on the street outside the hotel. The works will take a couple of months. 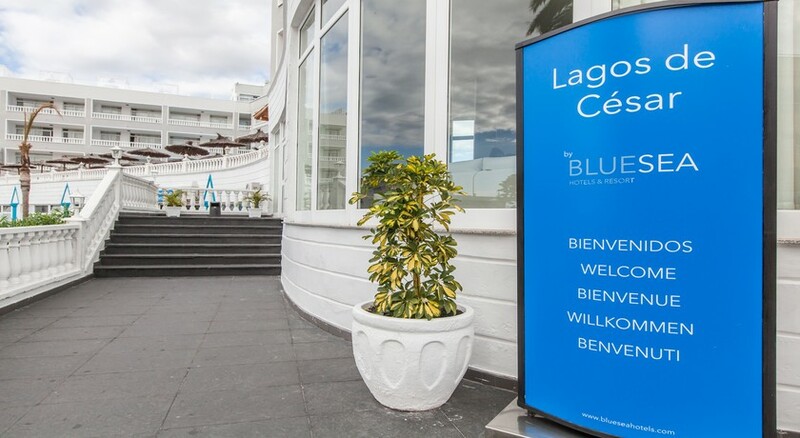 Hotel Blue Sea Lagos de Cesar did not live up to 4* expectations. The room was above the entertainment bar & sadly in need of a huge upgrade. The bathroom had cracked tiles, a flaking ceiling and the varnish on the door needed replacing. Sadly the balcony overlooked construction work which made it difficult to sit out there in the afternoon. The pool also overlooked construction work which meant that the pool area became quite dusty and noisy. The food was palatable but lacking in imagination. Staff for the most part were very professional.